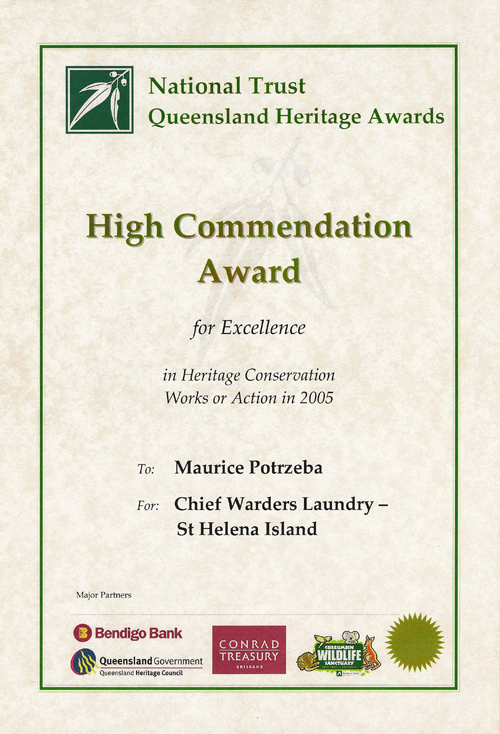 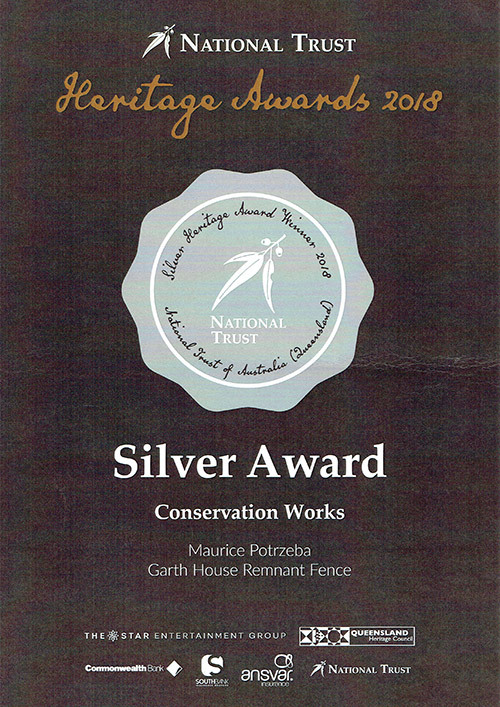 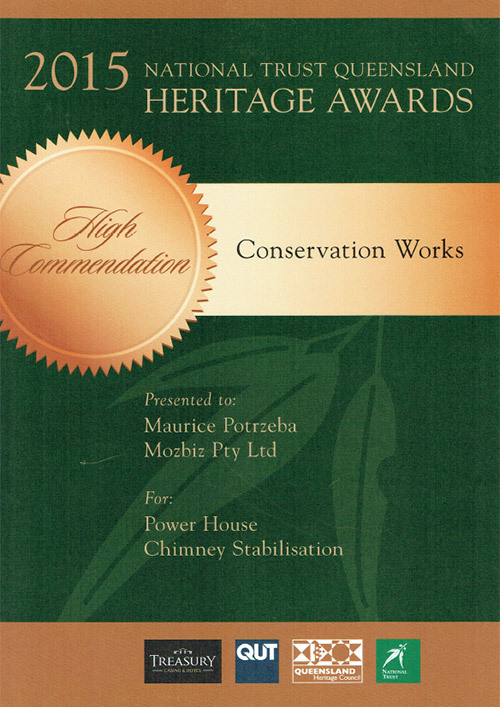 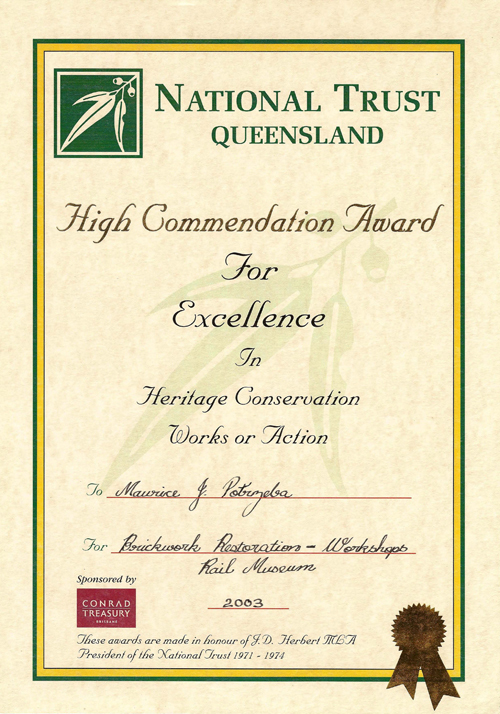 We believe our work exudes quality and so do our peers, acknowledging our efforts with nine Queensland National trust awards and a coveted Churchill Fellowship. 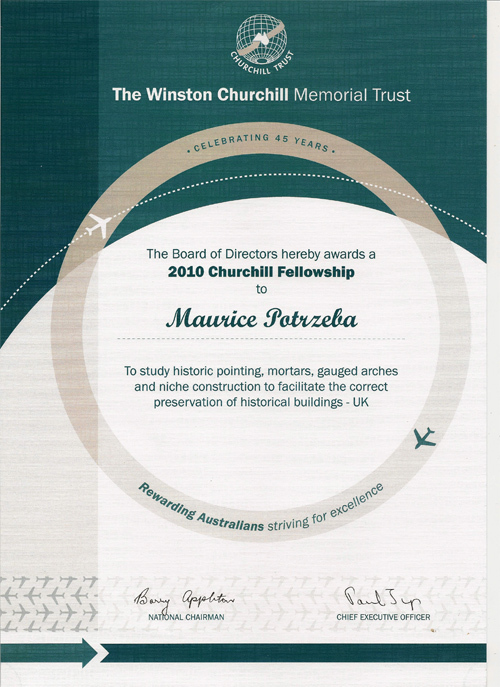 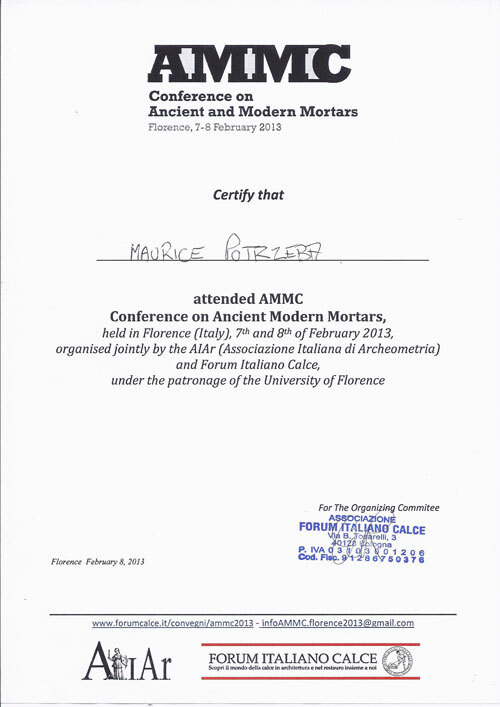 In 2010, we were awarded a Churchill Fellowship to study brickwork with Dr Gerard Lynch - the Red Mason - one of the world's most accomplished and respected masons. 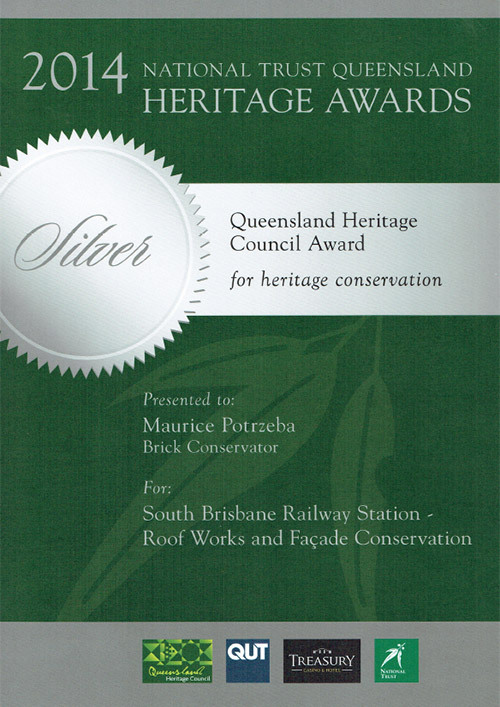 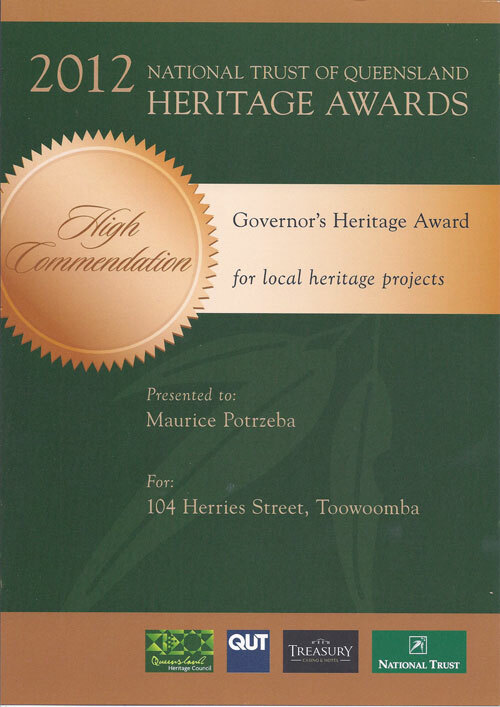 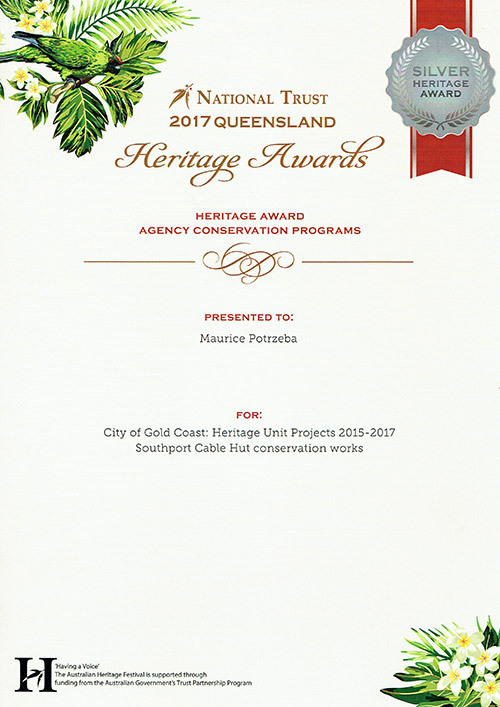 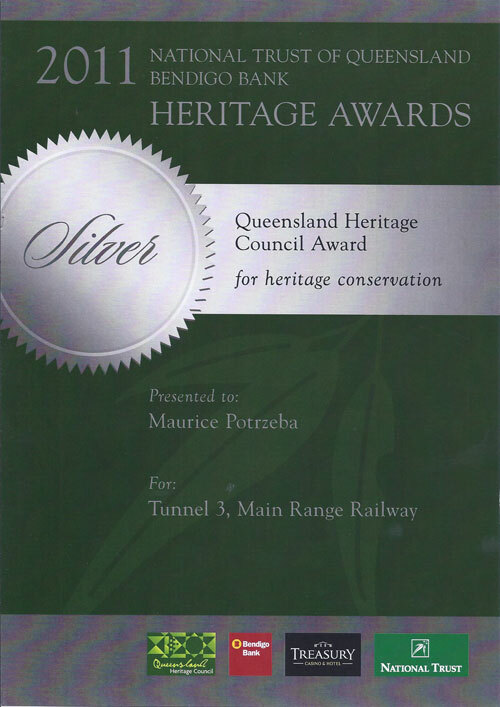 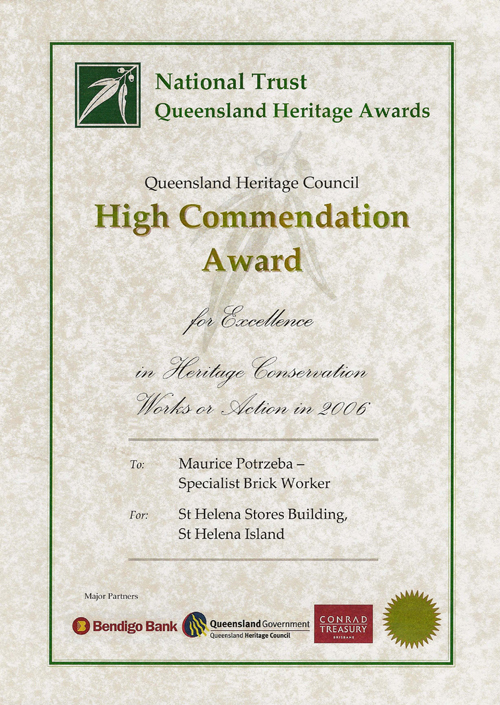 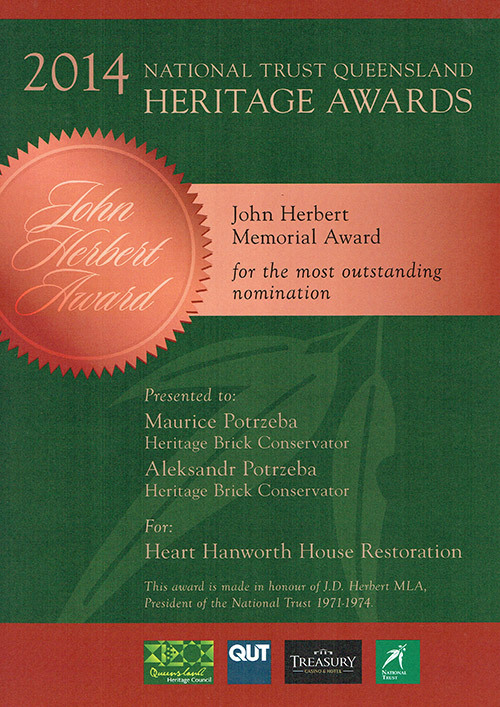 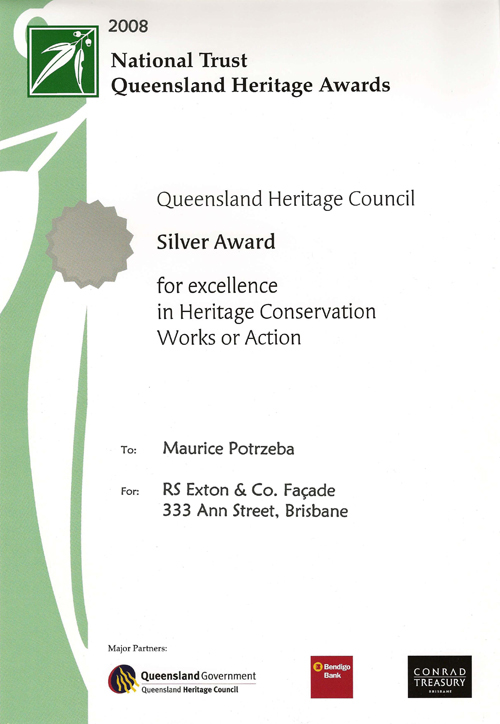 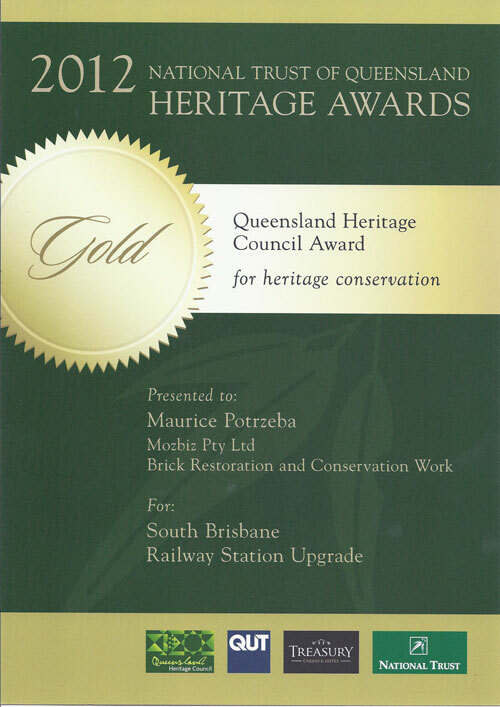 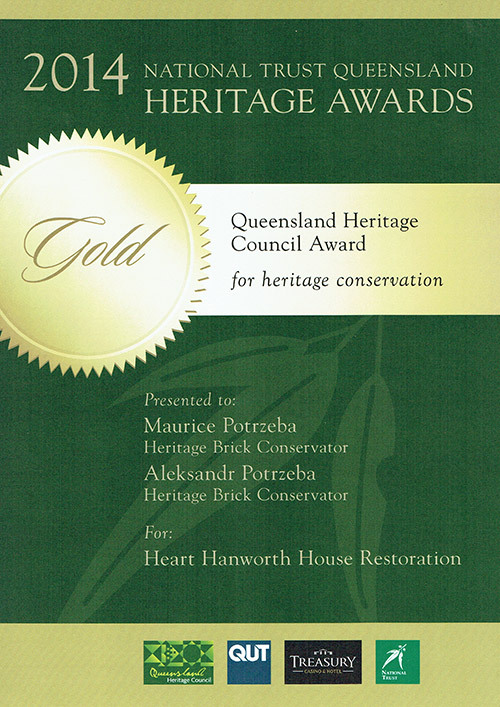 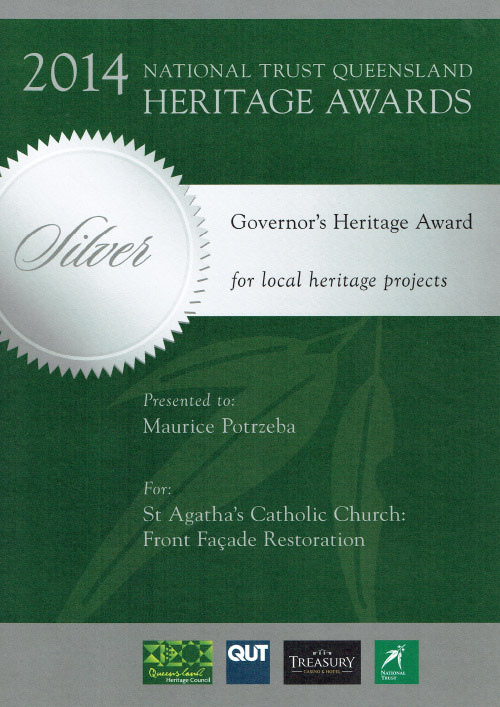 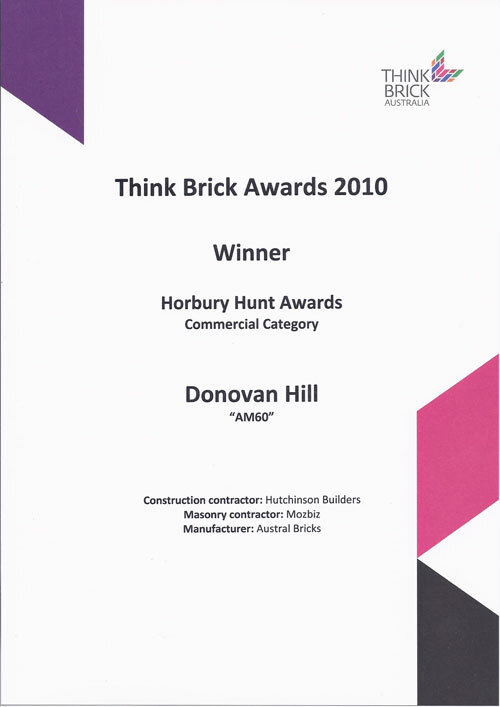 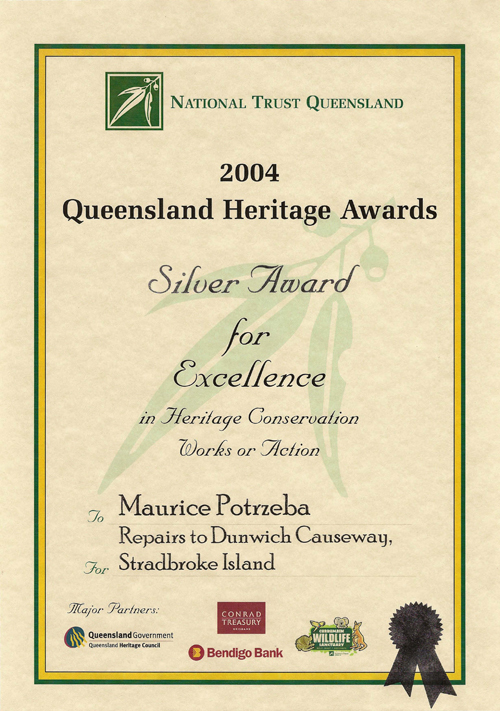 In 2002 we were nominated for our restoration of The Mansions, Brisbane, and again in 2007 for the Old Queensland Museum, Bowen Hills.